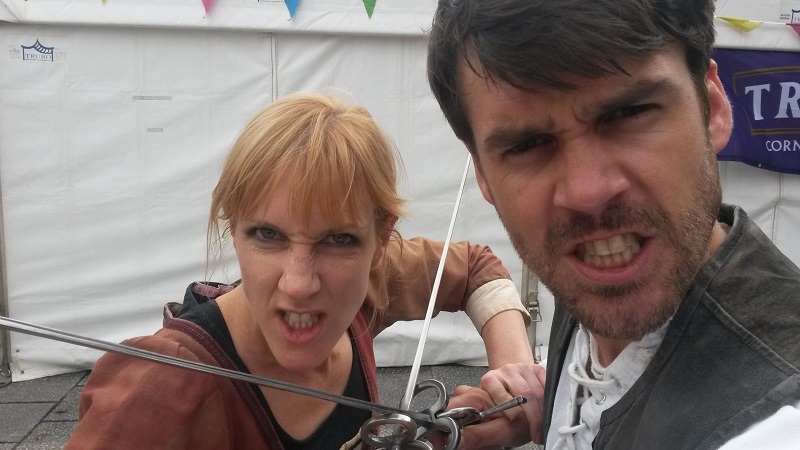 Swashbuckling Sunday! 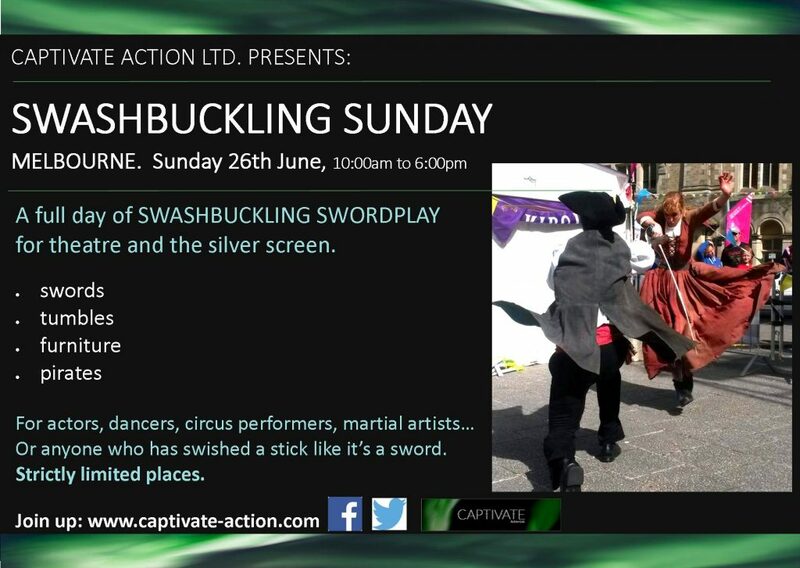 | Captivate Action Ltd.
A full day of SWASHBUCKLING sword fighting for the silver screen and theatre. Swashbuckling techniques roll back to the Victorian era of theatre, but are best known now with legendary Hollywood performers such as Errol Flynn, Basil Rathbone and Paddy Crean; and a host of films such as Scaramouche, Robin Hood, The Court Jester, Zorro… yes and even The Princess Bride. 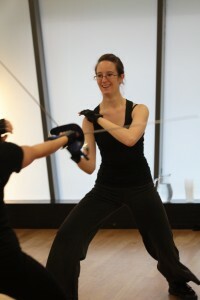 This workshop will take you through the techniques and performance of swashbuckling swordplay, complete with characters, furniture and tumbles. 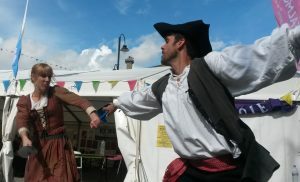 By the end of the day you will have increased your skills in showing the flair and dexterity in this style of swordplay… and you may become a little more pirate. Lucy Guerin Studio. 28 Batman Street, West Melbourne, 3003. The workshop will cater to all levels of experience and abilities – those who have done this work before and those who are fresh. 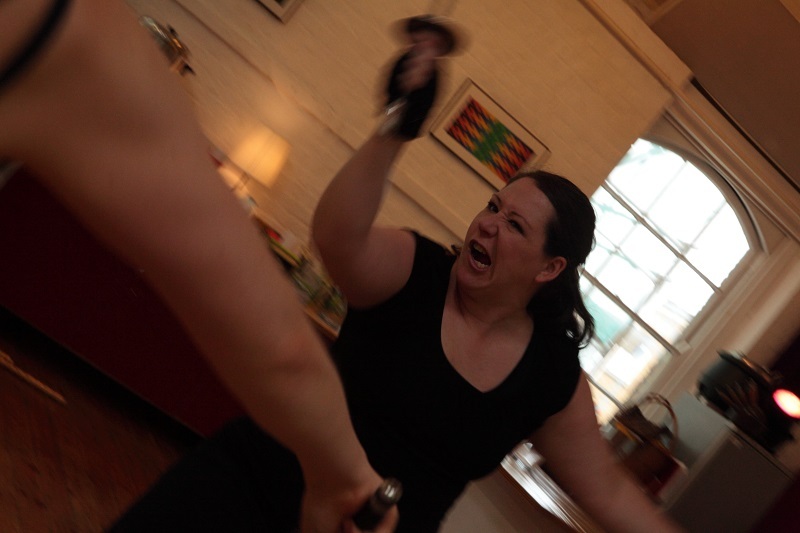 We heartily invite everyone… actors, dancers, stunt performers, clowns, and martial arts… or anyone who has ever picked up a stick and swished it around as a sword. We will be VERY active in this workshop, so come prepared with movement clothes and sneakers. You may also need a change of t-shirt, wet-wipes, towel etc if you know you will get sweaty. 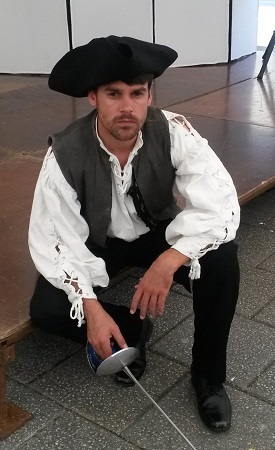 If it doesn’t interfere with your movement, you are heartily welcome to come in with a few bits of ‘pirate-wear’. Make sure you bring plenty of water and nibbles. There are food outlets nearby, but there is also a kitchen and fridge at the studio if you’d prefer to bring your own lunch. This course has now SOLD OUT due to a roaring response.